The keenly awaited Hindi movie of the year Kalank is all set to hit the screens coming Wednesday. Starring Alia Bhatt, Varun Dhawan, Sonakshi Sinha, Aditya Roy Kapur, Madhuri Dixit and Sanjay Dutt. It is a period drama set in 1945 in the pre-independence British era. 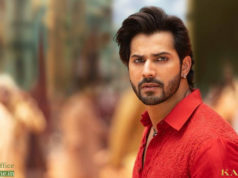 Varun Dhawan is one of the most popular superstars in India and has a huge fan following across the globe, this is the reason Kalank has higher pre-release buzz than the predecessors. Also, the theatrical trailer of the movie with high octane actions has made a solid impact on all the viewers globally. After noticing the great excitement of the audience toward the film, makers decided to open the advance booking for it earlier than usual. 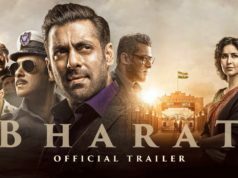 The online pre-booking was started on Thursday across the country including single as well as multi-screen cinemas. 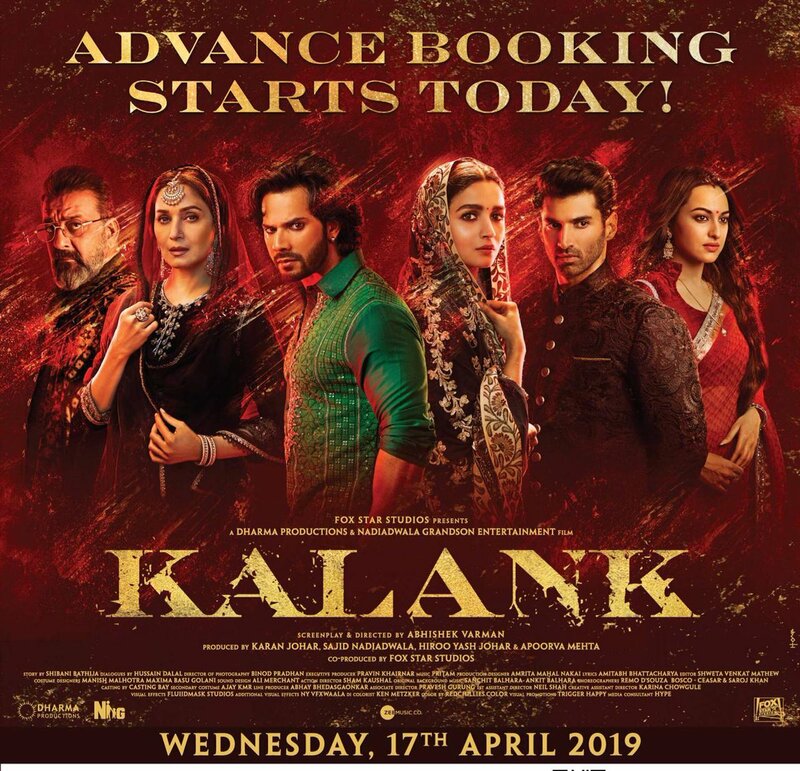 As per reports, Kalank ticket booking is going very well and expected to witness the excellent occupancy of more than 50% on its opening day. Also, it could register the best opening of Varun Dhawan’s career so far. Set in the 1920s, the film stars Alia as Roop, while Varun plays the role of Zafar. Sonakshi essays the role of Satya Chaudhry and Aditya steps in the shoes of Dev Chaudhry, while Madhuri essays the role of the gorgeous Bahaar Begum and Sanjay Dutt plays Balraj Chaudhry. The film has been produced by Karan Johar, Sajid Nadiadwala, Hiroo Yash Johar and Apoorva Mehta. Filmmaker-producer Karan had earlier revealed that the idea of Kalank had stayed with his father, Yash Johar, for years and it was his long-time dream to see the film into being.